Every second breath we take into our lungs was given to us ‘as a gift’ from the world’s oceans and seas.If you think that this may sound like ‘hippy nonsense’, then think again as the global carbon cycle is a scientific fact – the air that we breathe, water we drink, and food we eat are provided to us free of charge by our home, planet Earth.They are part and parcel of the gift of life itself. World Oceans Day was introduced in 1992 to raise awareness of the crucial role that the sea plays as sources of food, oxygen and medicine.It was officially recognised by the United Nations in 2008 and is observed on June 8th each year.This year’s theme is, of course, the Plastic Pollution Crisis, and how we might all take steps to prevent it getting worse and seek solutions for a healthy ocean. 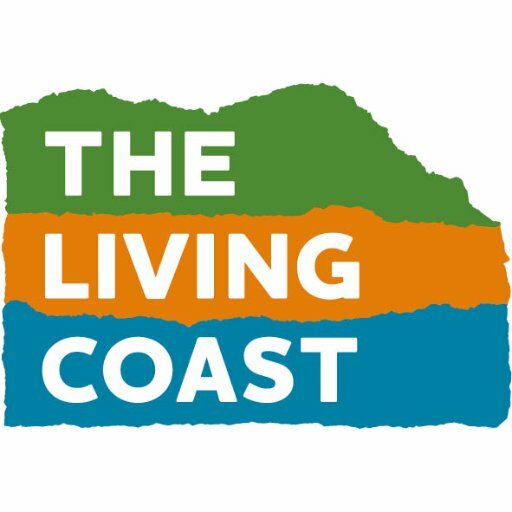 Here in The Living Coast (TLC) we are lucky to have such high biodiversity in our Biosphere’s coastal waters, recognised through the protection given to our precious chalk reef of Beachy Head West Marine Conservation Zone (MCZ) that runs eastwards from Brighton Marina and was designated in 2013. MCZ bylaws control those fisheries activities that can have a negative impact on the features of conservation importance: chalk habitat, blue mussels, native oysters and short-snouted seahorses. Seaweed harvesting is also controlled to protect marine life. Gaining UNESCO World Biosphere Region status in 2014 added a further level of support to our vibrant marine ecosystem, for which the MCZ is classed as its marine ‘buffer zone’. Brighton & Hove has a history of taking action for marine conservation, with the international ban on whale hunting signed here back in 1982. It also has a formidable and vibrant community of ‘Mermaids & Mermen’ that work tirelessly (and mostly unpaid) to inform and educate the local population and visitors on marine pollution issues.The human made ‘Plastic Soup’ is currently top of their agenda, especially after Sir David Attenborough included plastic pollution in the BBC Blue Planet II tv series last year, and public interest in the subject rose exponentially.Recent coverage on the BBC’s One Show and through the Royal Wedding have helped keep single-use plastics on the tip of everyone’s tongues – the royal couple chose Surfers Against Sewage (SAS) as one of their 7 favourite charities to benefit from their wedding gifts donations. Last summer SAS launched Plastic Free Coastlines, a national campaign to facilitate local communities to make a few small lifestyle changes that would have a huge positive impact on the oceans.As part of this campaign, volunteer ‘community leaders’ have stepped forward to help Brighton & Hove achieve #1stPlasticFreeCity status and become an approved ‘Plastic Free Coastlines Community’. The campaign targets avoidable single-use plastics, so don’t panic – plastics have their place in society, just not in the sea! You can join the campaign as an individual, join a local community leader’s team or put your own name forward to be a plastic free community leader. This June there are numerous events worldwide celebrating World Oceans Day, including in Brighton & Hove and beyond – see the TLC events calendar for more details. One very special event taking place this 8th June is the release of Albatross the film by Chris Jordan.He is donating his 8 year-long epic masterpiece as a public artwork for the whole world to see and share free of charge forever!Bearing witness to and taking action on the #PlightOfTheAlbatross is a crucial outcome for this year’s World Oceans Day and you are invited to add your weight to this campaign by viewing (there’s a special screening at the Brighthelm Centre on 15th June) and sharing the film. By supporting and promoting these events you can help continue the good work all the Mermaids & Mermen do to protect and enhance the world’s oceans and our precious local coastline. Protected marine areas are meaningless if we, the local human population, allow our addiction to ‘convenience’ and ‘instant gratification’ to destroy this irreplaceable natural gift of life through littering and inadequate plastic waste management. We all have an incredible opportunity here.We can all make 3 small changes to our individual plastic consumption that will have a ‘ripple effect’ across our whole community and send a positive message to younger generations watching us – who will ultimately inherit our Plastic Soup! We can choose to Reduce, Refuse, Reuse & Recycle. We can support and promote World Oceans Day so its message of prevention and solutions for a healthy ocean are heard loud and clear across the biosphere. We can all be a part of the solution to plastic pollution. The #PlightOfTheAlbatross is in our hands!